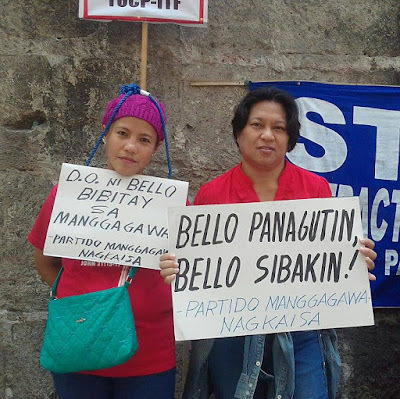 The militant labor group Partido Manggagawa (PM) asserted that contractualization is allowed and will continue to proliferate under the new Department of Labor and Employment (DOLE) order named DO 174 issued yesterday. “News that DO 174 prohibits contractualization is fake! What prohibition? What total ban? DO 174 merely reiterates the bans already provided for in the old DO 18-A. Everything old is presented as new again,” declared Wilson Fortaleza, PM spokesperson. 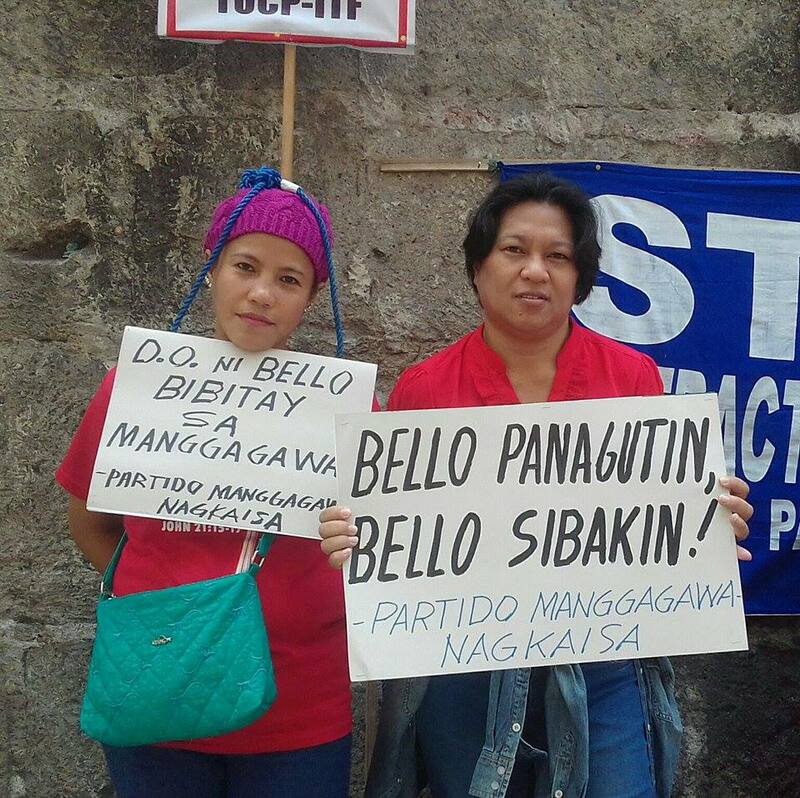 Members of PM, the union PALEA and other groups under the coalition Nagkaisa held a rally yesterday at the DOLE while the DO 174 was being announced by DOLE Secretary Silvestre Bello. More protests are planned nationwide as a result of labor’s rejection of DO 174. Today in Cebu City, workers are holding a mass action to coincide with a House Labor Committee hearing. “We want Bello to go. Bello’s order contradicts the President’s directive during the labor dialogue to end contractualization and agency hiring,” Fortaleza said. Labor leaders had a dialogue with President Rodrigo Duterte last February 27 at Malacanang and the latter acceded to the demand to prohibit all forms of contractualization. “DO 18-A was issued in late 2011 in the wake of PALEA’s resistance to the contractualization scheme at Philippine Airlines. Since D0 18-A merely regulated not prohibited contractualization, the problem of endo has gone from bad to worse over the past five years. With DO 18-A rehashed as DO 174, contractualization will only get worst in the years to come,” Fortaleza extrapolated. He insisted that “Under DO 174, replacement of regular workers with contractual workers will continue. Agency rather direct hiring will be the norm. Manpower agencies will remain as middleman between principal employers and workers. As lifetime agency employees, the best workers can hope for is a minimum wage while principal employers reap the fruits of labor productivity."